Be wary of going big- we hired a "camper" to go from Bristol to Skye in, when mrs Jules was pregnant with our little one. We picked a huge Ducato based 3.5 tonne twin rear axle monster, cost a fortune for the week. Was a great idea until I picked it up and saw 15 MPG at 50 MPH. Cost about £600 in diesel to get to Skye and back. Then the leisure battery was either dead or not charged so we ran out of juice almost straight away, then the gas was empty so all our food spoiled in the fridge. 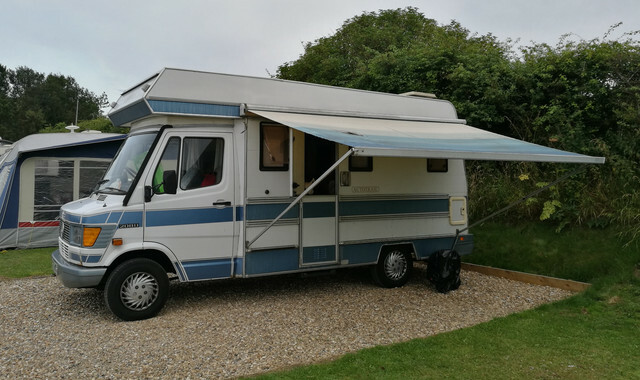 So find out if you have a separate leisure battery (and if so whether it's full and new), and whether you have option to connect to electric hook up (both on the van, and where you plan to stay). Then treat power as if it were gold- if you're not using a light at that moment turn it off, don't cane the stereo for hours on end without the enging running. If you have gas check it's going to be full (and remember if you need to change it, it will be reverse thread so tighten to undo!). Retrospectively it was one of the most stupid things we've done. We could have driven to Scotland, got a helicopter to the wedding, and stayed in the Ritz Carlton, for the same cash. But it was fun driving that massive bus around (even if I did have to fork out £300 for a new mirror after trading mine with a coach on a Scottish rural road, further adding to the financial misery). we have been to Australia twice, both times hiring campervans for a month or more. Both times we used Mauii, not the cheapest but a big group. They have a range from a VW campervan sized Toyota to a box bodied 6 berth on Sprinter or VW chassis. There are other companies such as Britz and Apollo. The multicolored ones are Wicked Campers saw lots but some were a a bit rough! We opted for a 6m van conversion as there is only two of us. First year was a VW Krafter, second a brand new Sprinter, both vans same similar layout. They were diesel, about 2.3 litre I think, automatics. Pretty economical and easy to drive. They are fully equipped with cab aircon, mains powered body aircon. Cassette loo ,shower (cramped but ok) TV and stereo. Even a pull out gas bbq on side of the van! Satnav too! Given the length of our trips we prefered the slightly bigger van. We tended to leave the rear bed made down and turn the front seats round with small slot in table, although we mostly sat outside! Australia is great, loads of good reasonably priced campsites and friendly people. Has to be done!We may go back next yera and explore WEstern Oz. We have a touring carvan for home and Eu use so well used to the life, being retired itt gets used a lot. Just back from 5 weeks in France. Only came home because its peak season, too busy and prices go up! Been at a camp site all weekend, today at long last another interesting van turned up. Not sure who the coachwork was by, but it's based on a Talbot Express. The little Merc is working pretty well for the two of us. Though next time we might leave the dog at home as he takes up far, far more than his fair share of space! At least until we get an enclosed awning so we have a bit more floor space to play with! Most of that mirrors our caravan experience Ylee. The problem with hiring something will be lack of knowledge of the foibles of the vehicle- you won't find them out until they have caused a problem. Just as you get to know the thing it'll be going back! Think you have hit the nail on the head. Campervans are easier for those that are not so skilled/practical in towing, winding up legs, turning a gas tap off and plugging in electrics. Trouble is everytime you want to go anywhere in a camper van you have to pack everything up just to pop into town tripping over each other as there is no room in them and once you have found a place you can park with height and width restrictions you then have the worry of not being broken into Avoiding the maintence, depreciation, rust, insurance, MOT,s and TAX of a camper van sitting on the drive for most of the year unused is a definite plus for me. You could use it as a greenhouse, they become as hot as one. Our caravan cost £800 and we sold it 7 years later for £500 just putting new tyres/brakes on it in that time. 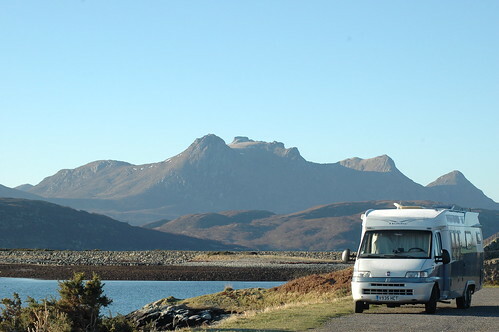 We toured Scotland, Irleand, France and every county of the UK in a simple little 750 KG Avondale caravan. Yes Blimmen ridiculous carting around a fixed double bed with all the unnecessary length and weight involved when all you have to do is pull out your bed KISS! 6.6 m long is not necessary, you have not got that now I bet! Caravans are so simple and hassle free and yes 20 mins to pack up, hitch up and drive off with the ease of just driving around in your car to explore the area. We usually spent a day in one place at a time unless it was worth stopping for two days. Most weekends we would hitch up on a Friday night and get out to de stress from work within a two hour drive radius of the house... Then the kids came along and the peace was shattered we will return to caravanning when we retire in a few years time. I guess I'm a bit odd in that I find it enjoyable to drive a large vehicle around. Aside from planning ahead for somewhere that's not blocked off by height barriers it doesn't stress me out any more than driving a car would in an unfamiliar area. That said, I'm one of those oddball tyoes who finds driving stuff like buses fun, so I'm not everyone! Just a tin tent on wheels if you ask me. External water carrier will no longer be needed once I've got the onboard tank recommissioned. I'm also setting up a means to allow me to pump water into the onboard tank from an external one using the onboard pump, which will make refilling it less tedious. Just a couple of extra pipes and valves. I'm staggered by the fact that it's returning close to 30mpg on diesel. Also surprised by the number of modern campers that I seem to breeze past on the motorway seemingly struggling with even slight gradients, I was expecting that to be me, not the other way about. Or is that a classic case of spending so much on the camper that they've skimped on the underlying van showing itself? Nah, it's because they're full of superfluous cr@p we wouldn't have dreamt of 20 years ago. Modern motorhomes are built right up to the weight limit. Any more than a cup full of water in the water tank and an extra toilet roll and you will be overloaded. The same has happened to yachts. Instead of strong hulls able to withstand all sea conditions the hulls have been widened and flattened to accomodate walk in showers, fixed double beds, kitchens not a galley fitted with microwaves, flat screens etc and the boats are so flimsy you can see the side bend in when people come up to a pontoon. You slam and crash over the waves not through them due to the flatter wider hull.